Create Embellish Adore: What exactl - tea have I been up to?? What exactl - tea have I been up to?? I have to confess, I love making things - for those I know and don't. I am a sucker when it comes to putting a smile on someones face from miles away without them even knowing who I am. As many of you know, my fiancee is a soldier and is currently deployed. Why not make some little gifts for his solider? H-e-l-l-o, its what I love to do. So here is a sample of what I have been up to. 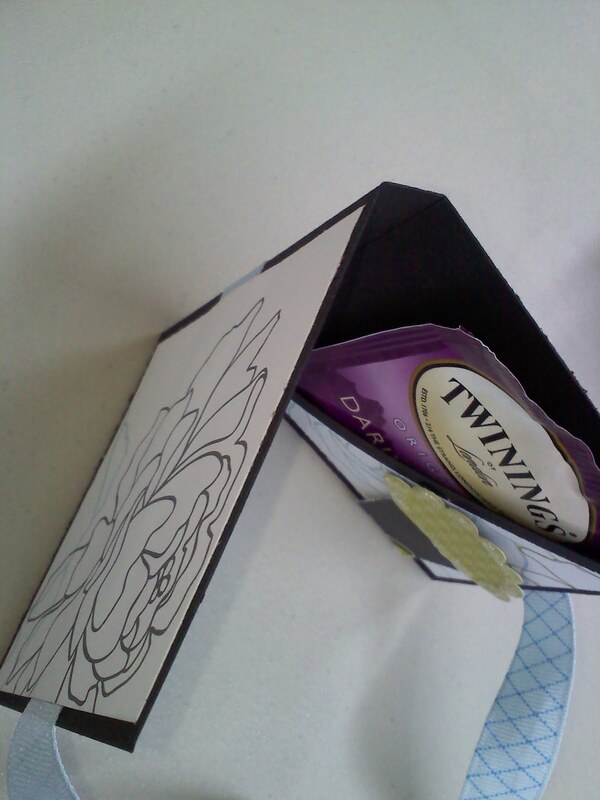 I will of course finalize and take pictures for you to see, before shipment... but in the meantime..
Its a Tea packet. 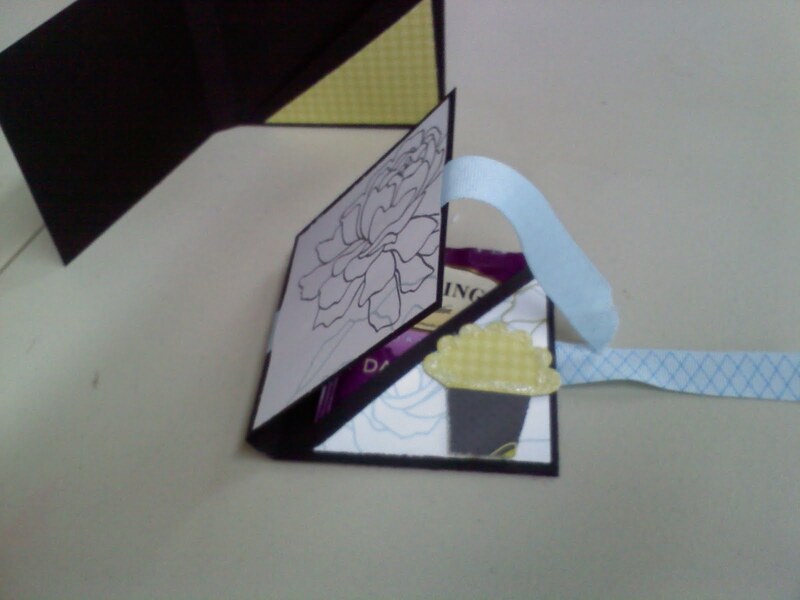 It holds a tea bag on one side and ties shut, and I have a poem that is attached to the front. Actually, Ruth Buckley from a Yahoo group I belong to sent it to me as a document so I could print and punch it out ... no brainer.. but HUGE HELP!!! THANK YOU AGAIN RUTH! .. when you are making 40 of them, every little bit of help is appreciated. The 40 will allow his soldiers to send one home (its small enough to fit in card enveloped and ship home) - and they can keep one with them... though I realize 'half past thre' is in different time zones, but its the thought that counts... right?.. Stay tuned, I will update with the tea packets before I ship next week!